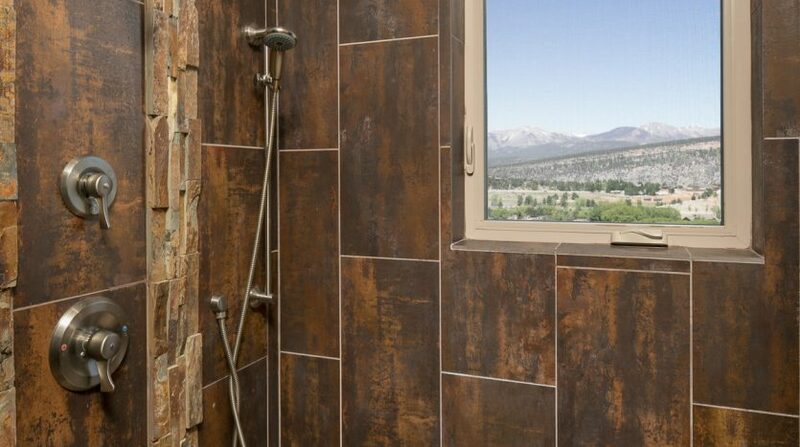 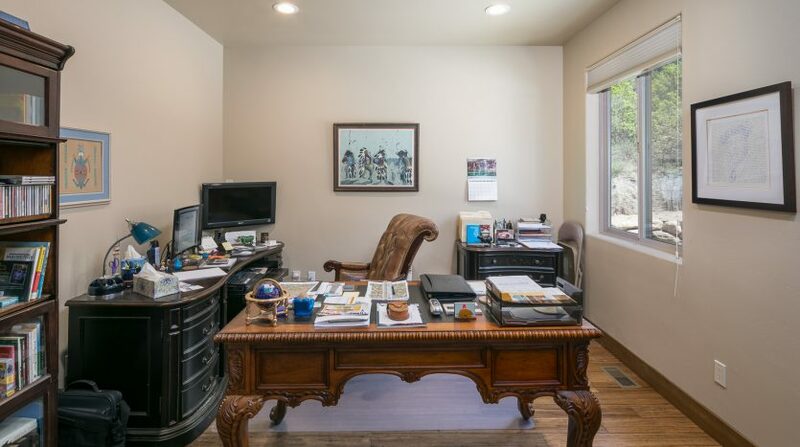 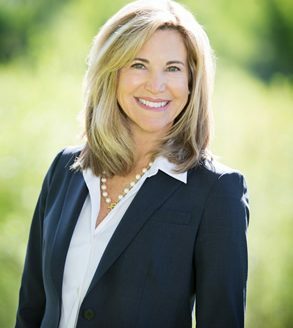 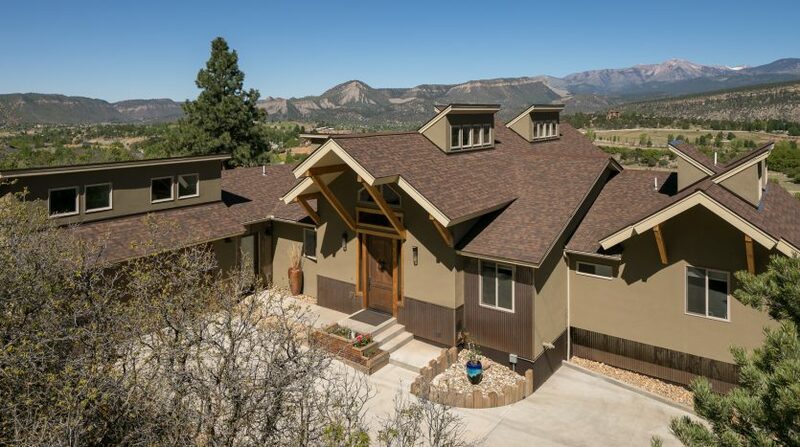 34 Kennebec, Durango, CO.34 Kennebec, Durango, CO.34 Kennebec, Durango, CO.34 Kennebec, Durango, CO.34 Kennebec, Durango, CO.34 Kennebec, Durango, CO.34 Kennebec, Durango, CO.34 Kennebec, Durango, CO.34 Kennebec, Durango, CO.34 Kennebec, Durango, CO.34 Kennebec, Durango, CO.34 Kennebec, Durango, CO.34 Kennebec, Durango, CO.34 Kennebec, Durango, CO.34 Kennebec, Durango, CO.34 Kennebec, Durango, CO.34 Kennebec, Durango, CO.34 Kennebec, Durango, CO.34 Kennebec, Durango, CO.34 Kennebec, Durango, CO.34 Kennebec, Durango, CO.34 Kennebec, Durango, CO.
In-town, La Questa Subdivision at Skyridge, over 1 acre, 2 years new, this Mountain contemporary home boasts the best views in Durango! 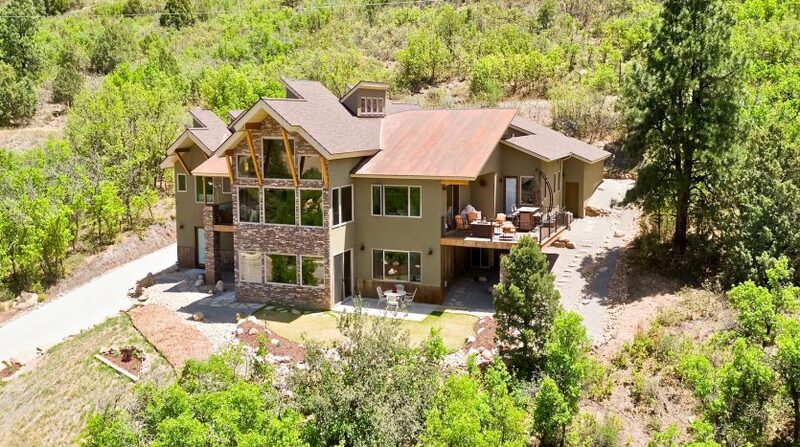 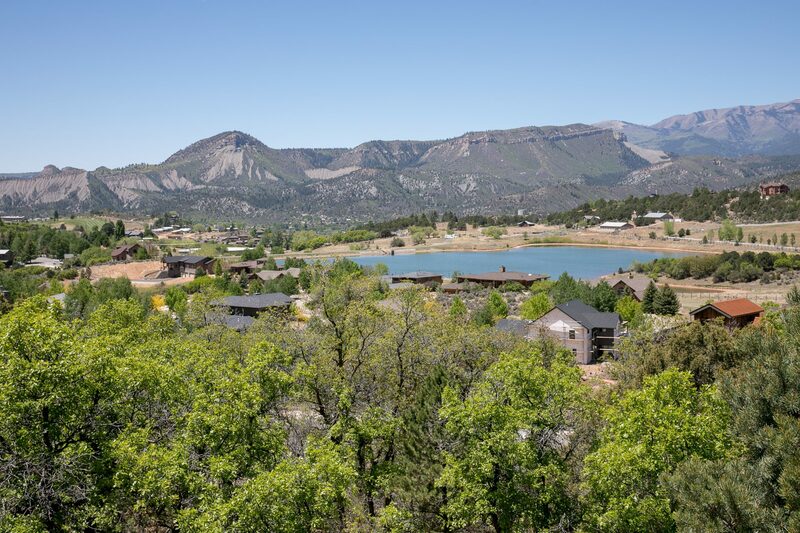 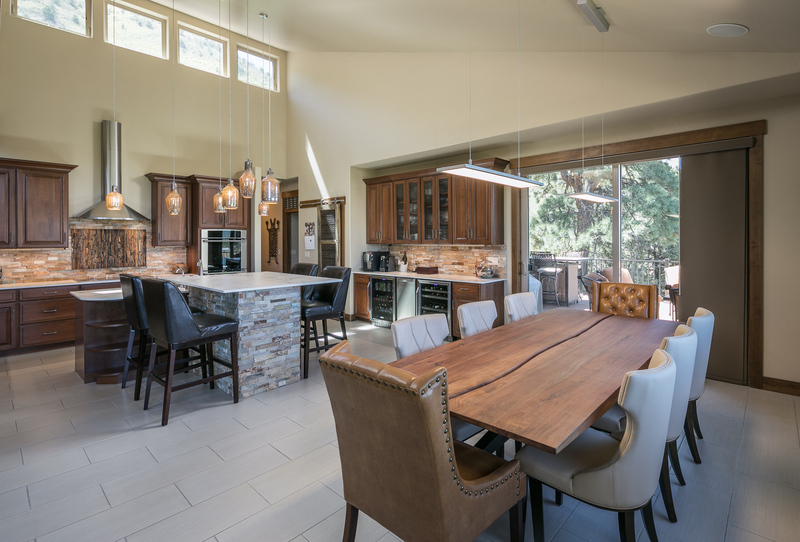 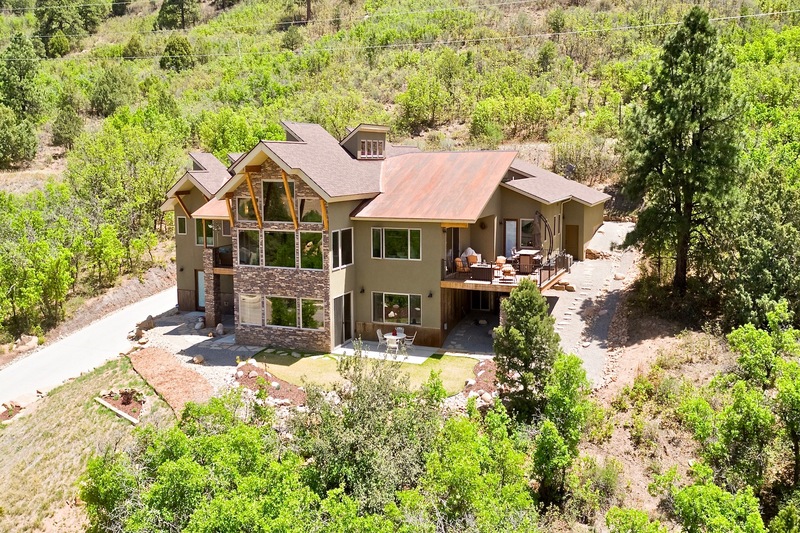 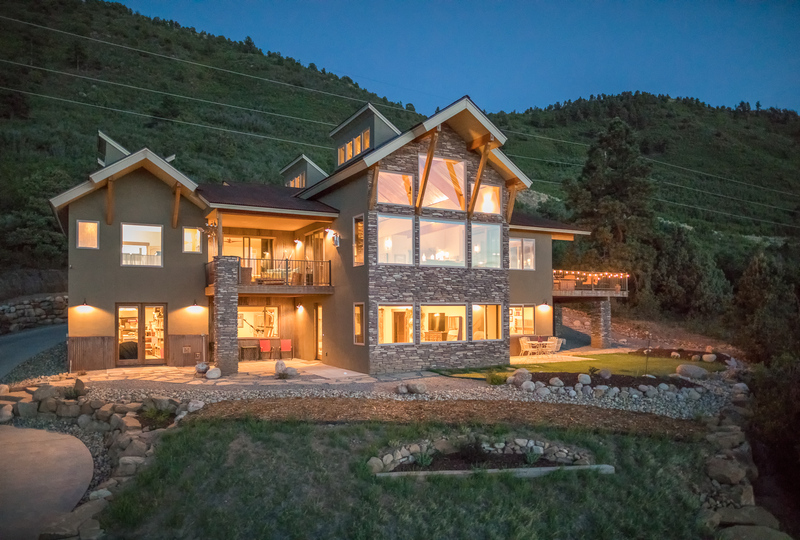 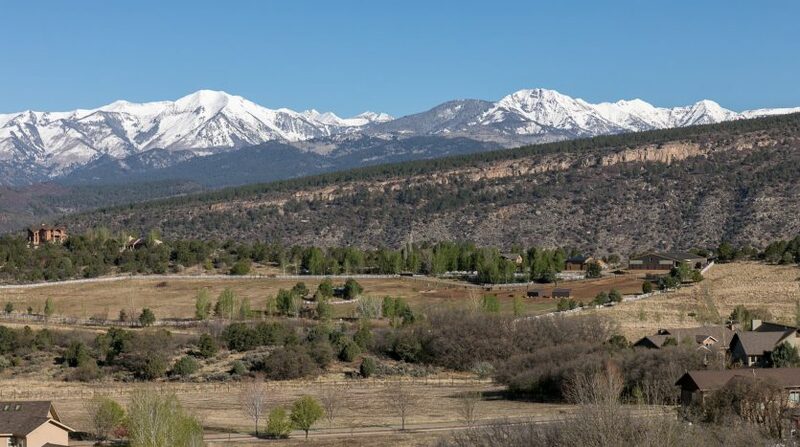 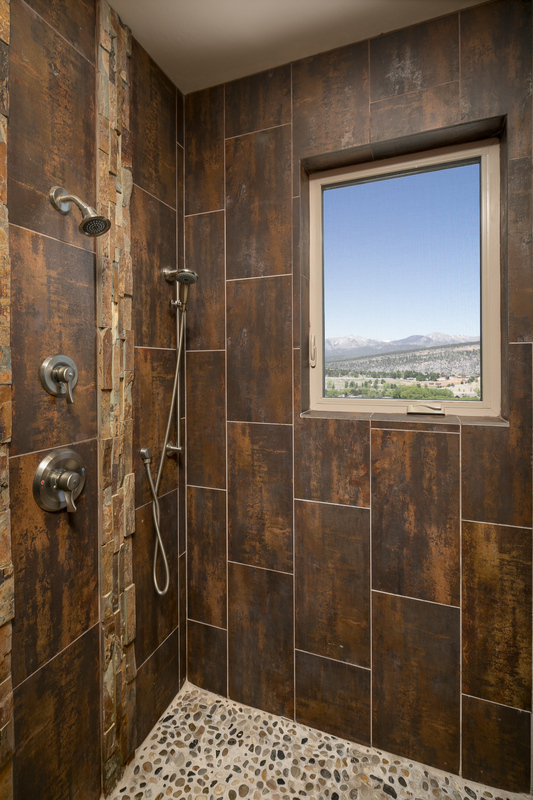 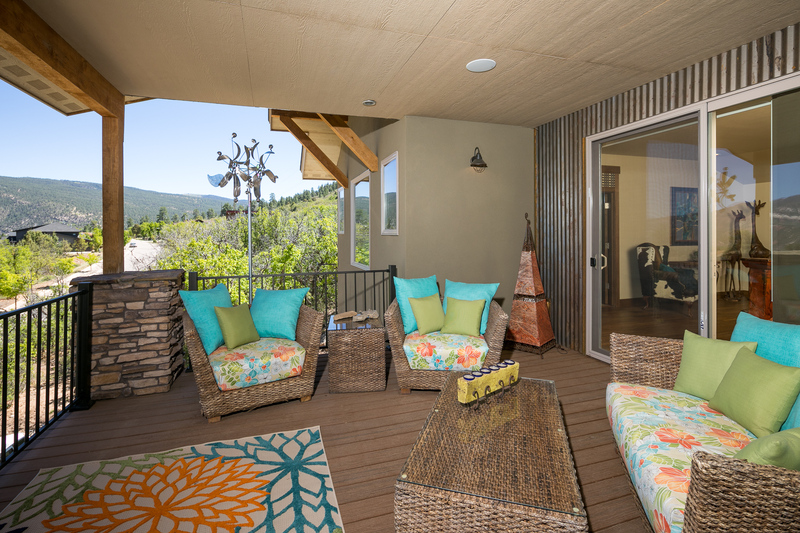 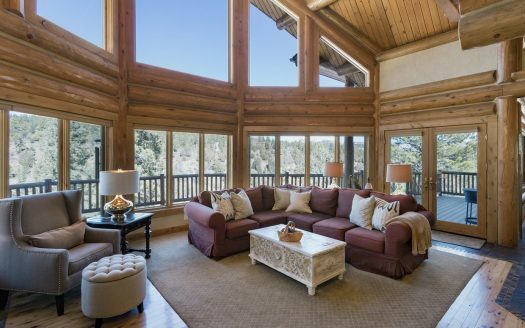 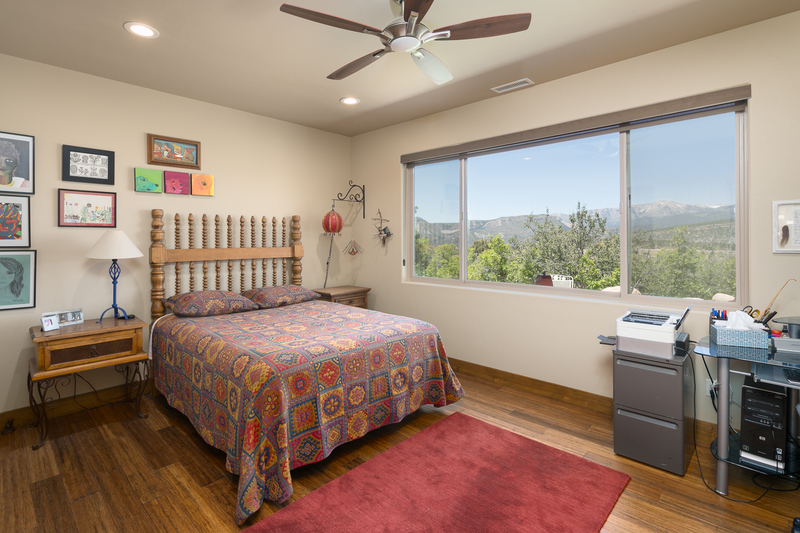 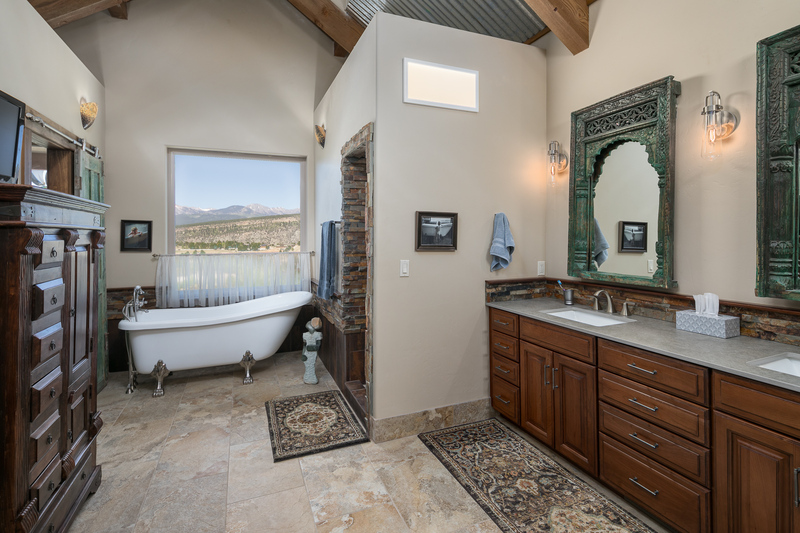 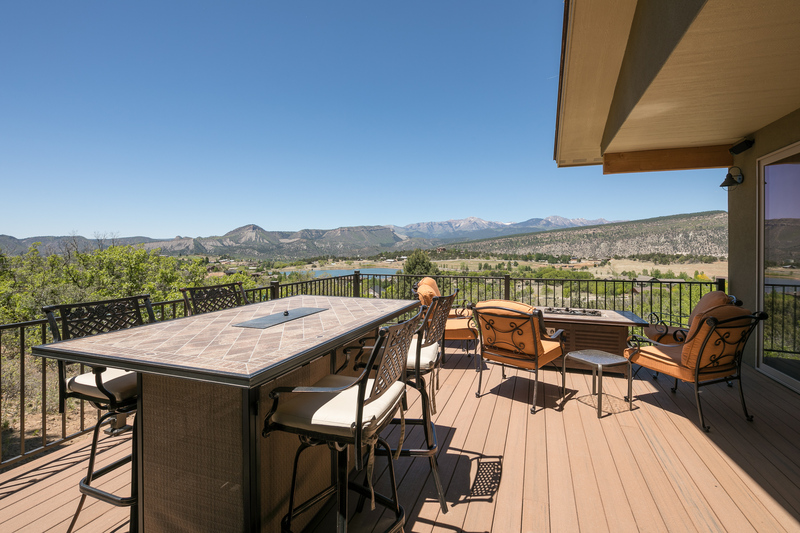 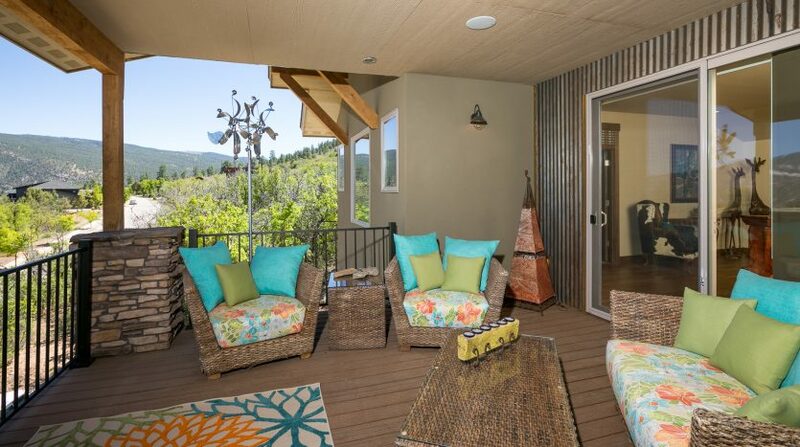 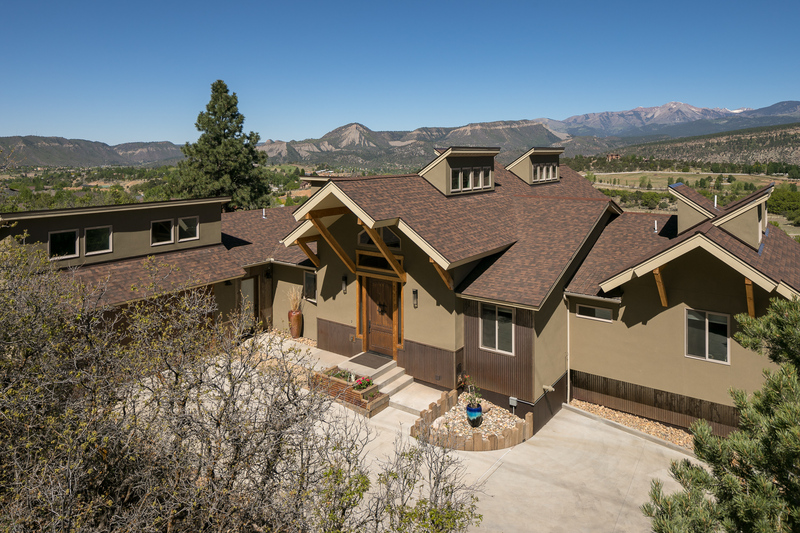 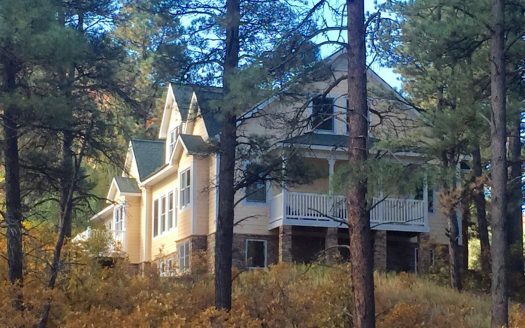 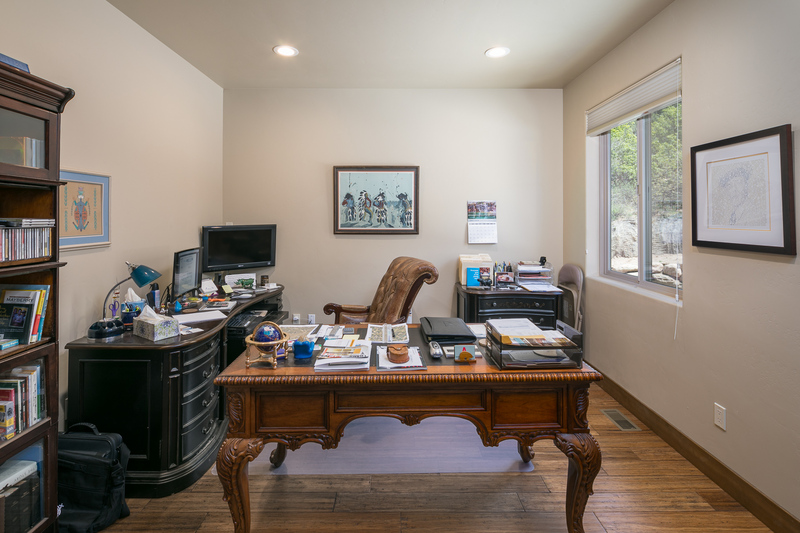 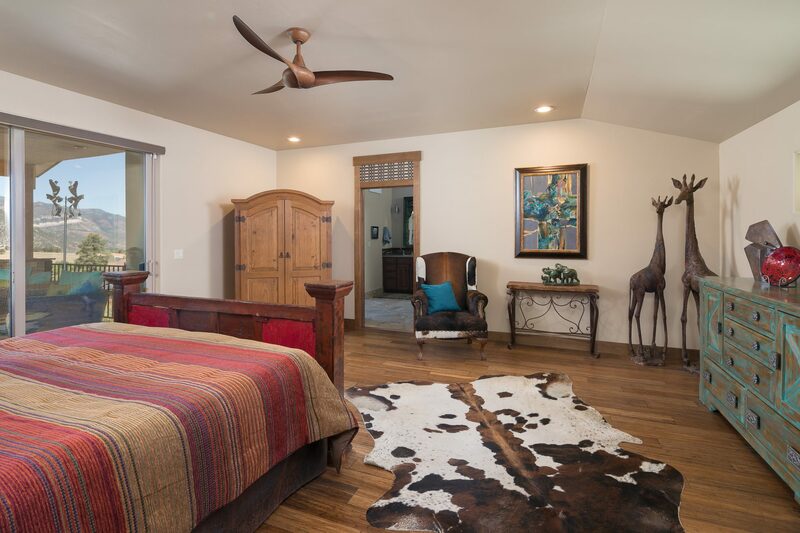 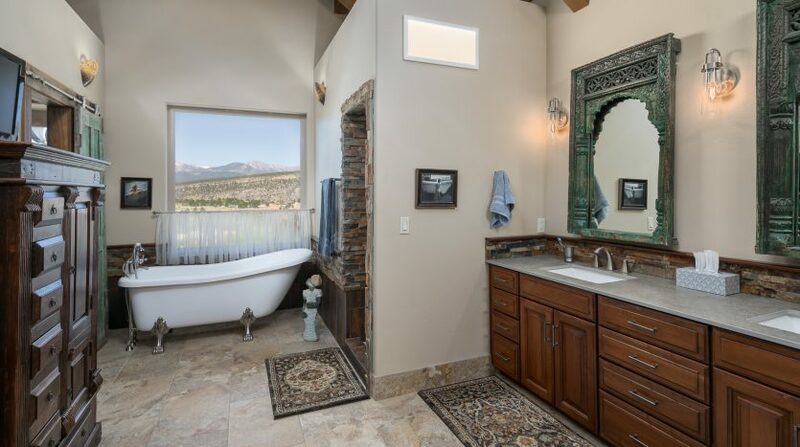 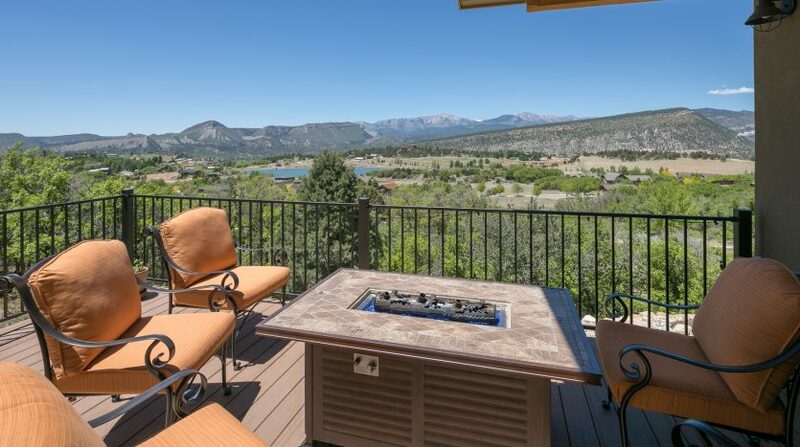 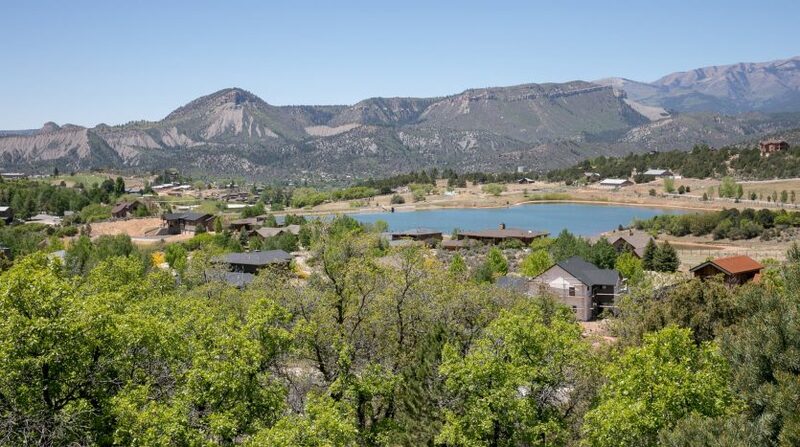 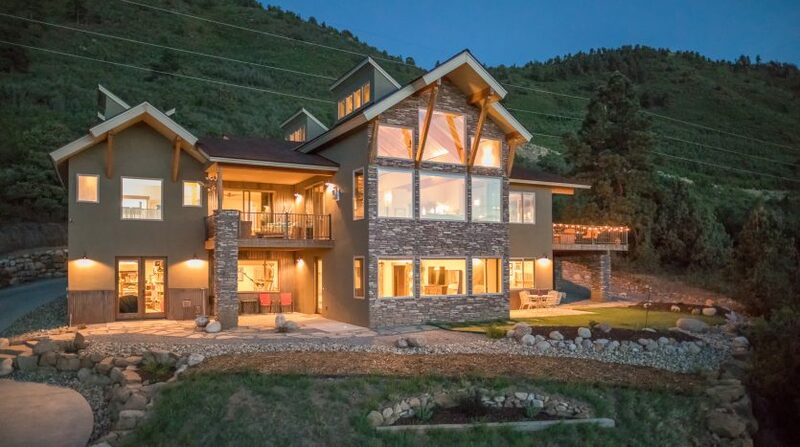 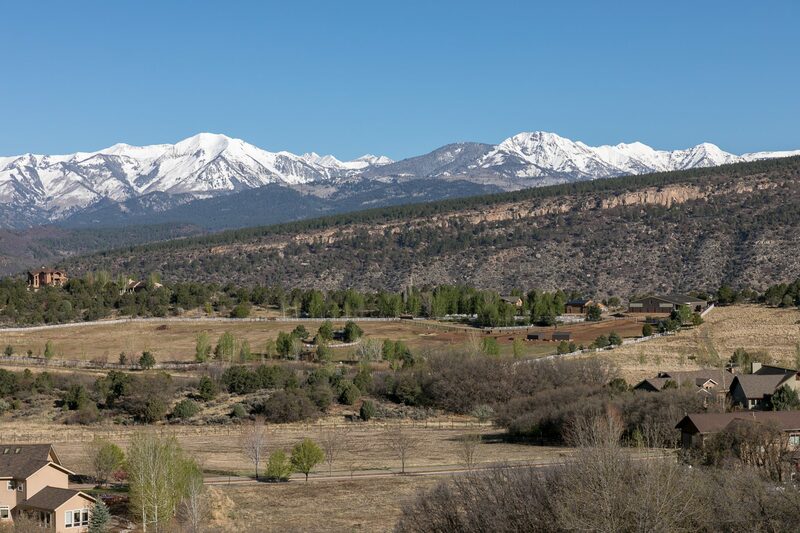 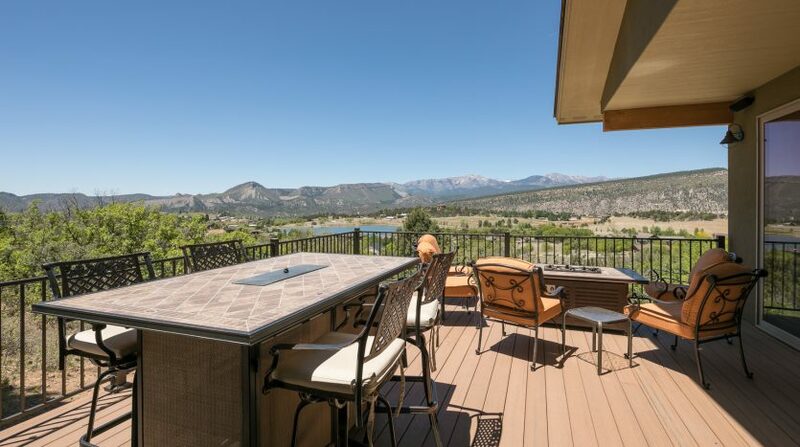 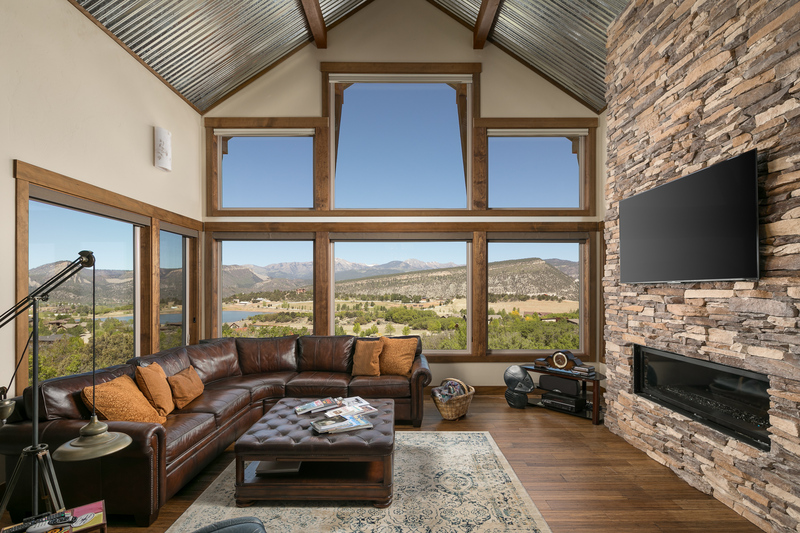 Built back on the sloping ridge to create privacy and an expansive overlook of the Durango Reservoir, La Plata Mountains and the Animas Valley floor below. 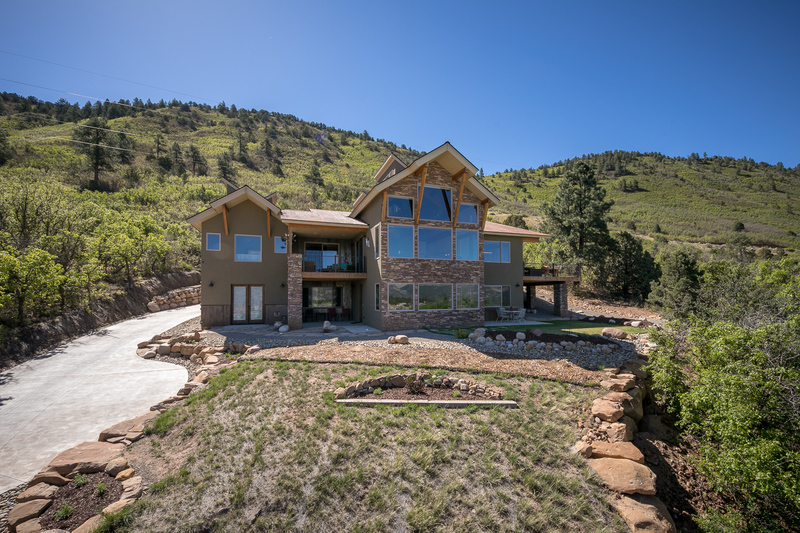 Custom built in 2016, this 5000+ SF, 4 BR/5 BA home has it all, including a planned guest living area/bedroom/bath (currently fitness room/storage) with it’s own entrance. 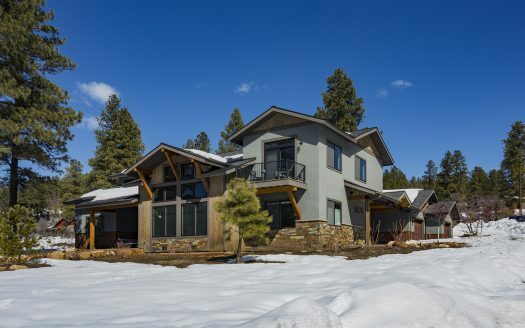 The 3-zone heated driveway leads to grand entrance. 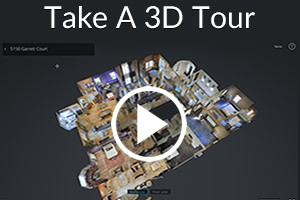 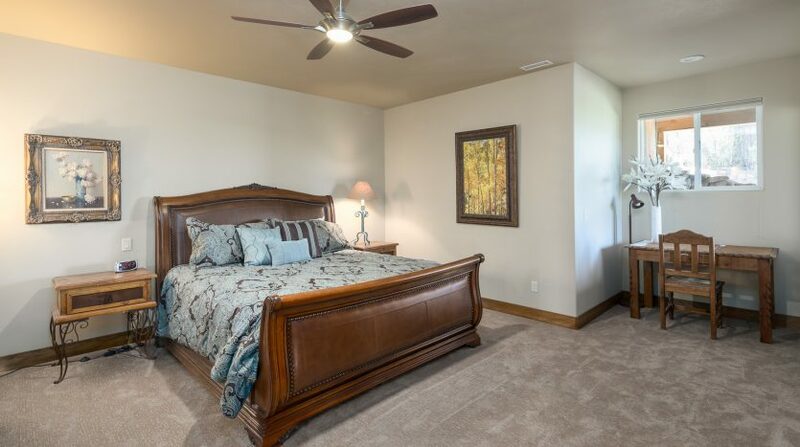 Main level: Features a beautiful entry accented by multiple transom picture windows over a 9 foot Mahogany door with room for grand piano and large art display. 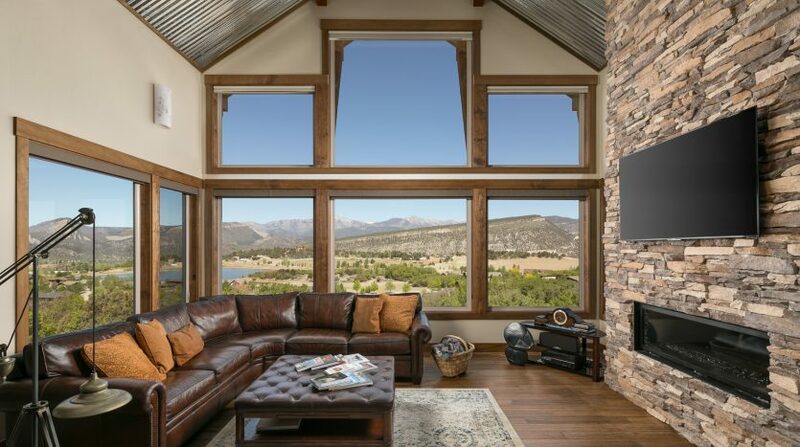 Living room with wall of oversized picture windows to take in expansive 180 degree views, contemporary gas fireplace with stacked stone floor to ceiling surround. 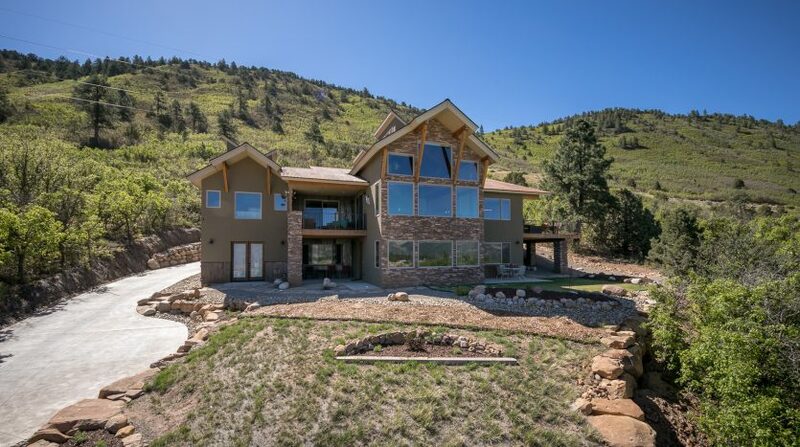 Solid Mahogany wood doors, Bamboo wood and tile flooring, 26 clerestory and 15 custom picture windows, plus 4 over-sized 8′ sliding glass doors throughout the entire home to highlight the views. 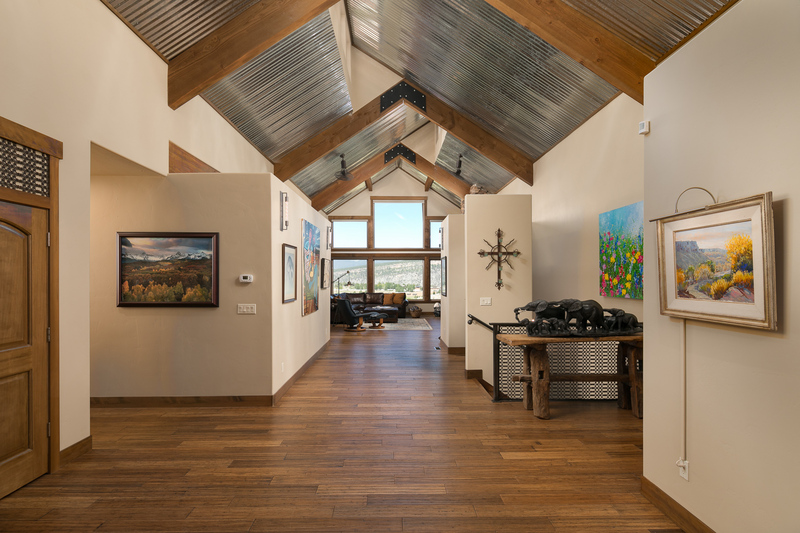 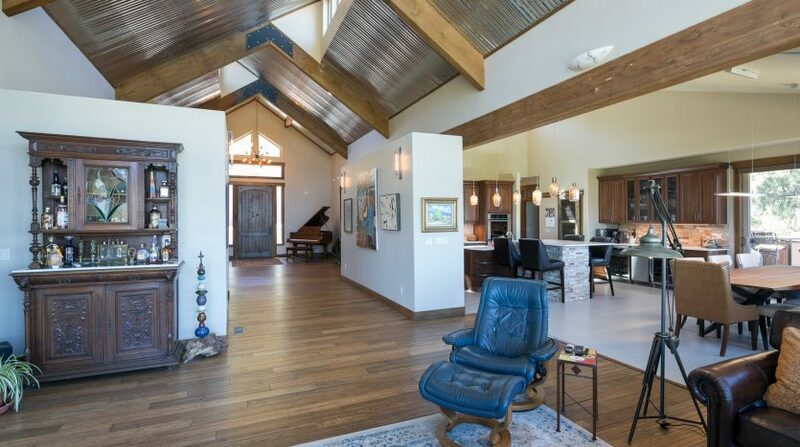 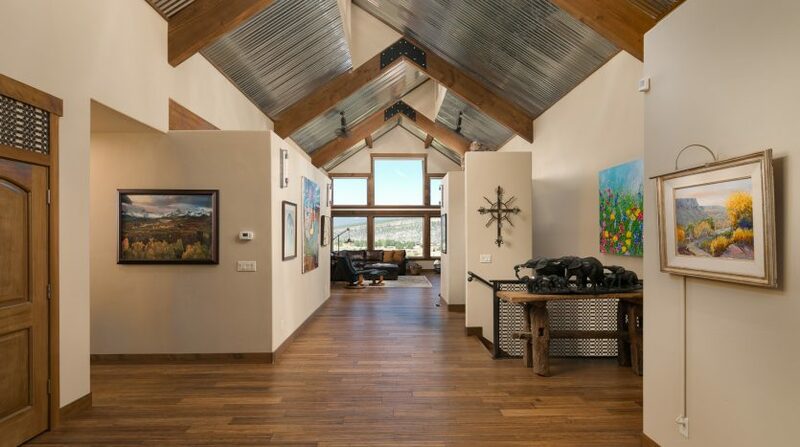 Vaulted ceiling incorporates an interior metal ceiling, alternating east/west clerestory windows for lots of natural light throughout the day highlighting large wooden beams. 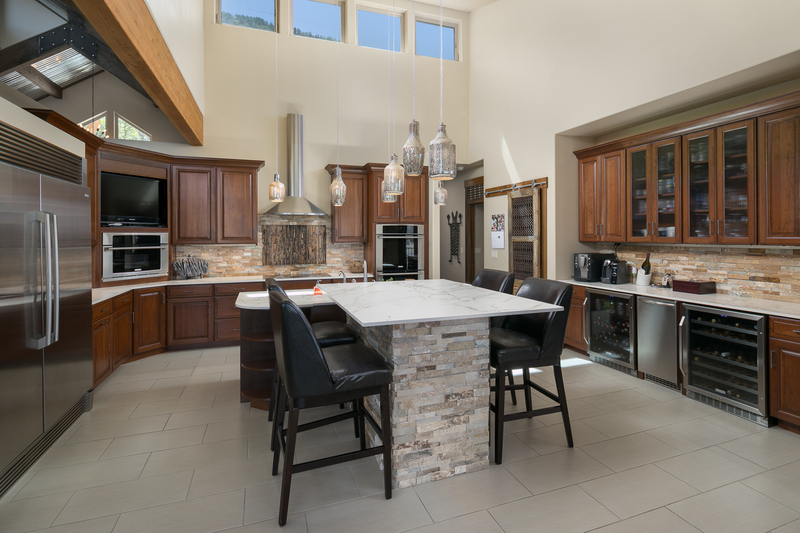 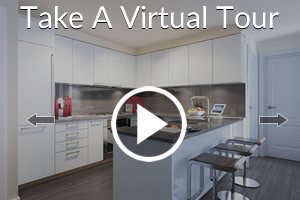 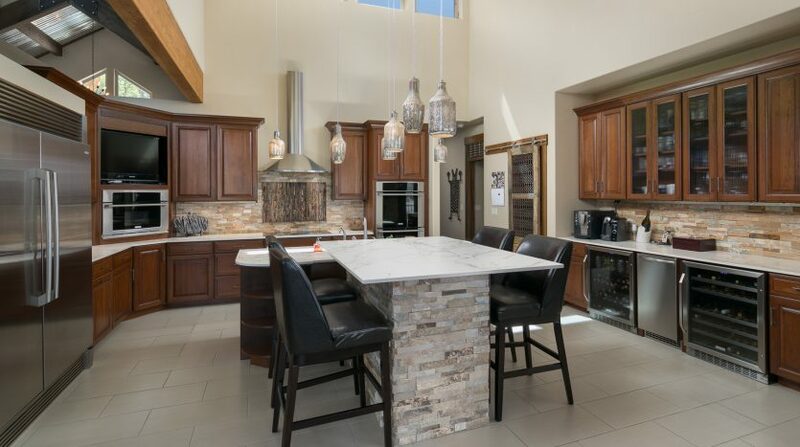 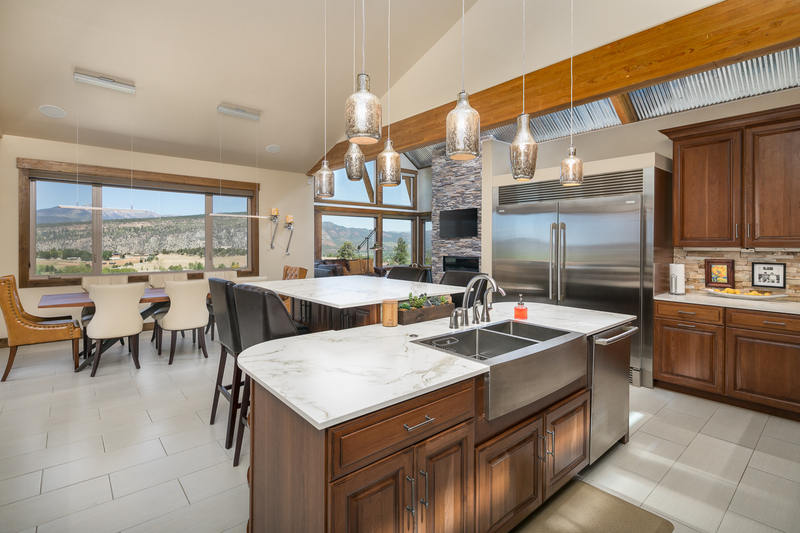 Open kitchen features large island with seating, countertops of zero porosity high quality Dekton quartz, all top of the line Electrolux stainless appliances including modern induction stovetop. 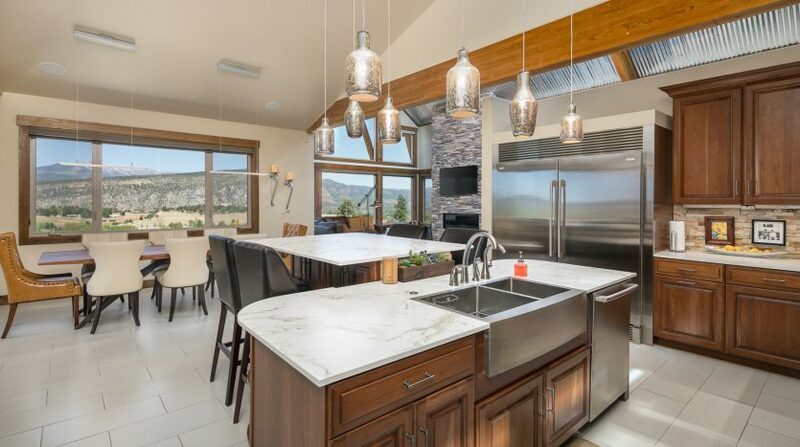 Double oven, huge custom built-in refrigerator/freezer, separate wine and beverage refrigerator, plus ice-o-matic crushed ice machines with its own R/O. 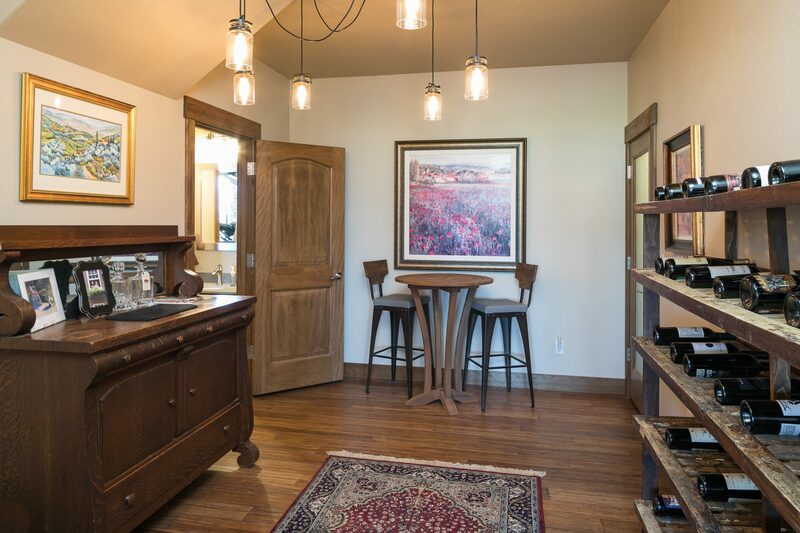 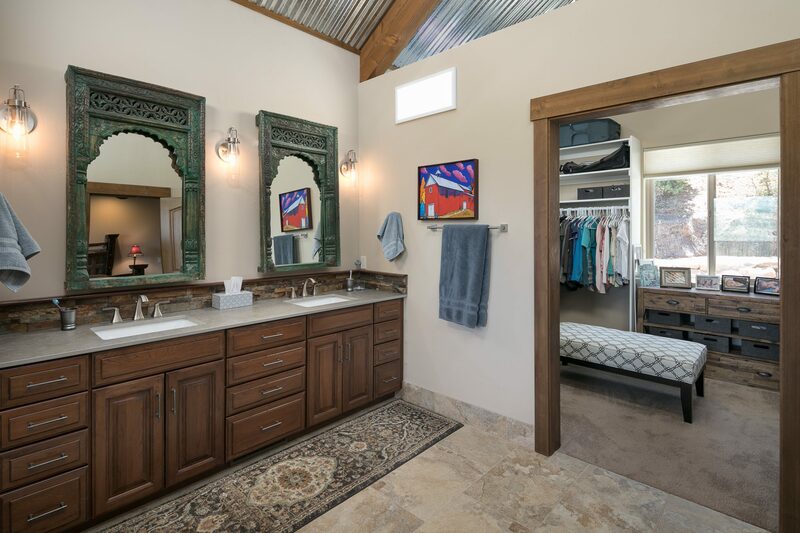 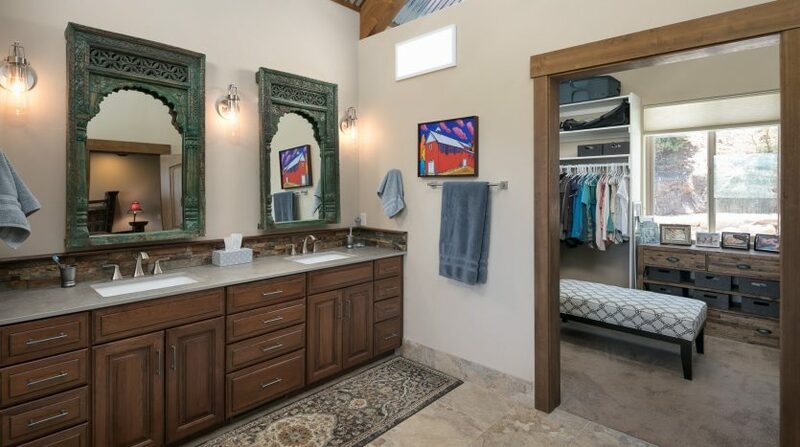 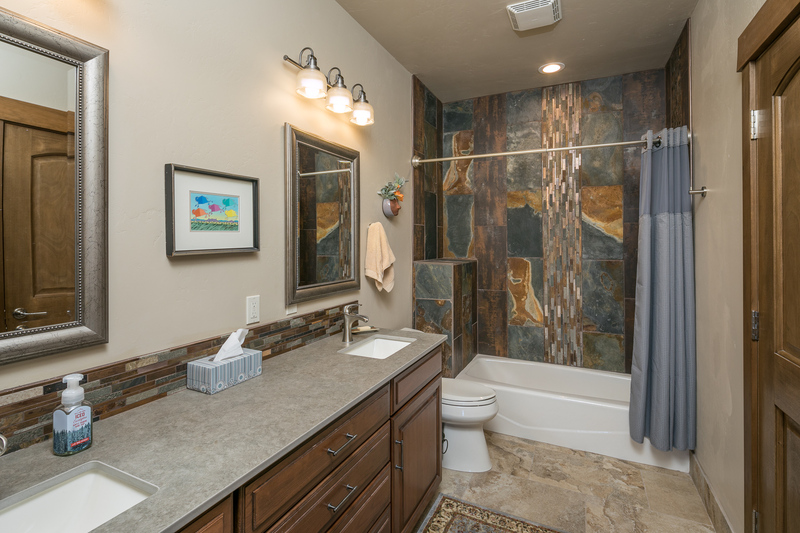 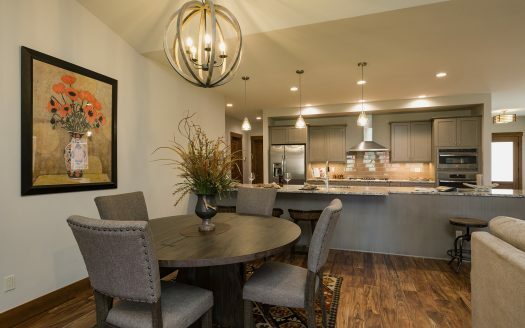 Double farm style stainless steel sink with another R/O system, all soft close Cherry cabinets, walk-in pantry with antique barn door and tile flooring. 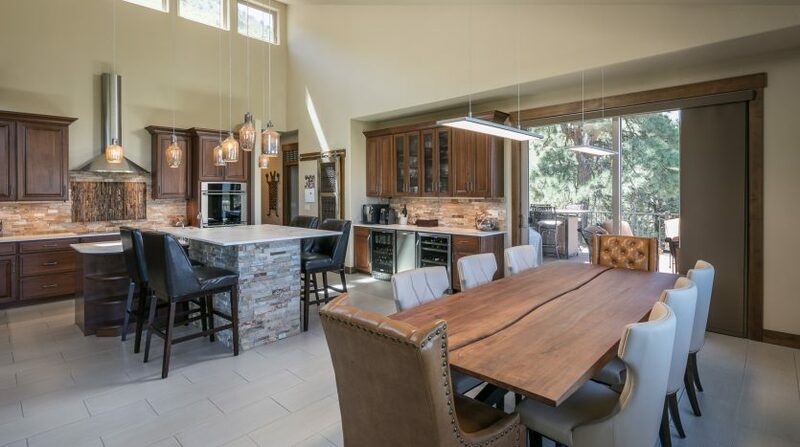 Formal dining with expansive views nestled between kitchen and living room with sliding door to one of many decks to a large entertaining deck overlooking the City, Hermosa Cliffs and La Platas. 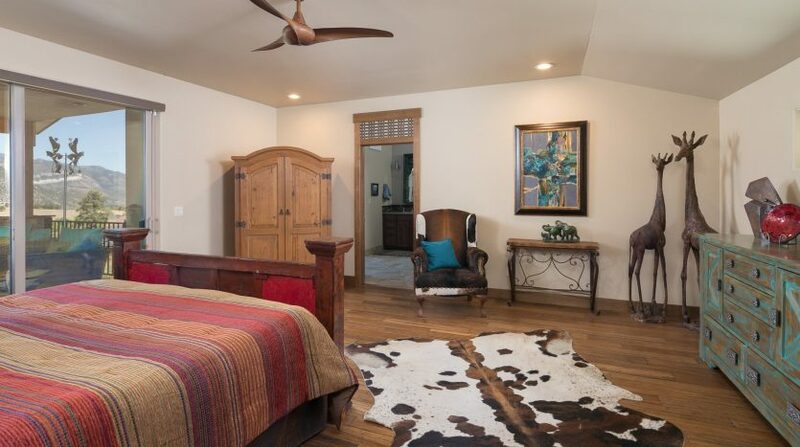 Master suite has sliding door to yet another deck and beautiful en-suite master bath features programmable in-floor heating, claw foot tub with long-range views thru large picture window, tile walk-in shower with bench, double vanity with Dekton countertop, antique style barn door and walk-in closet with custom built-ins and tons of light from windowed nook. 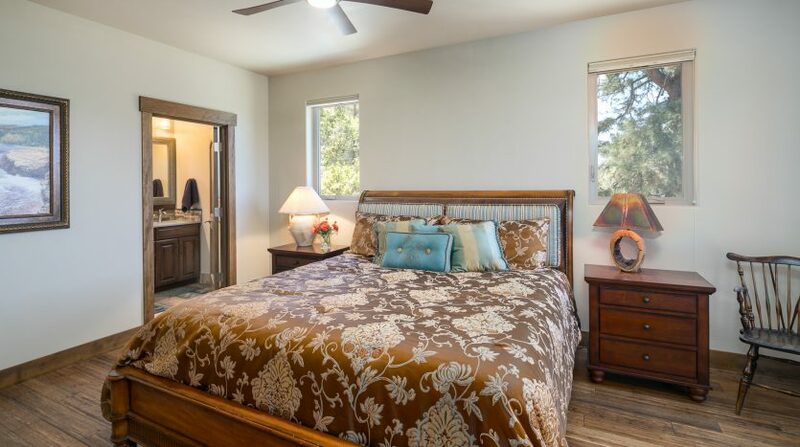 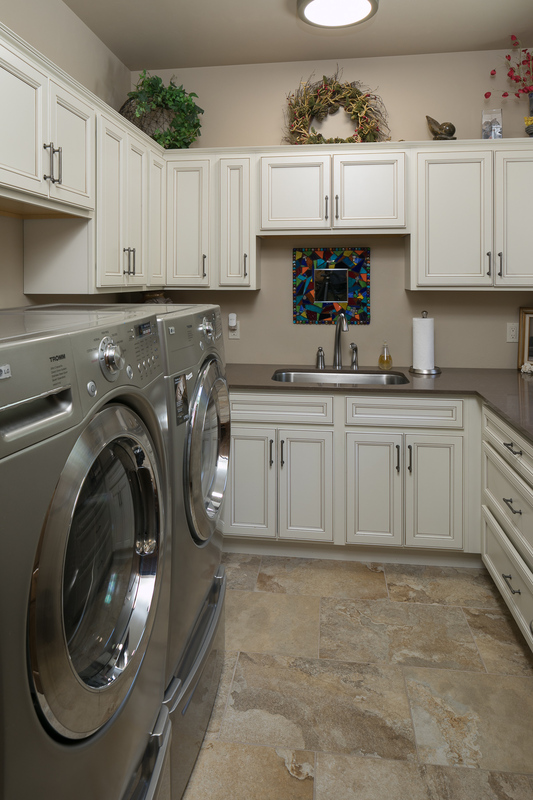 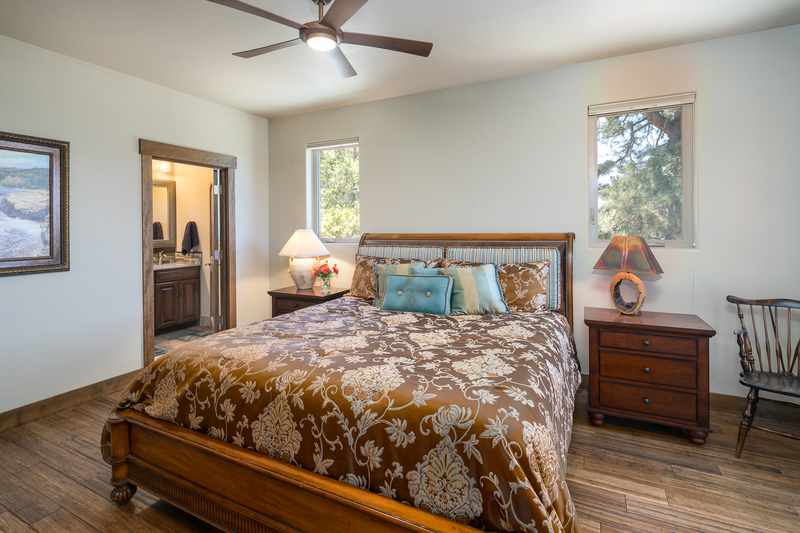 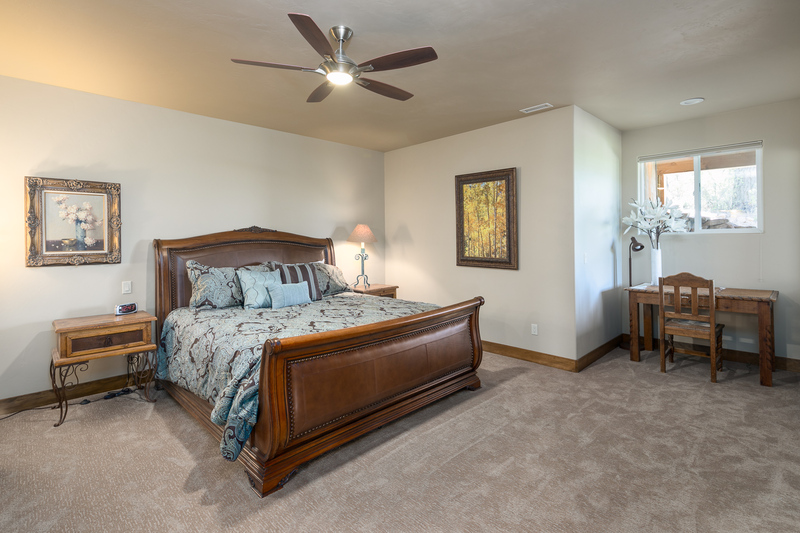 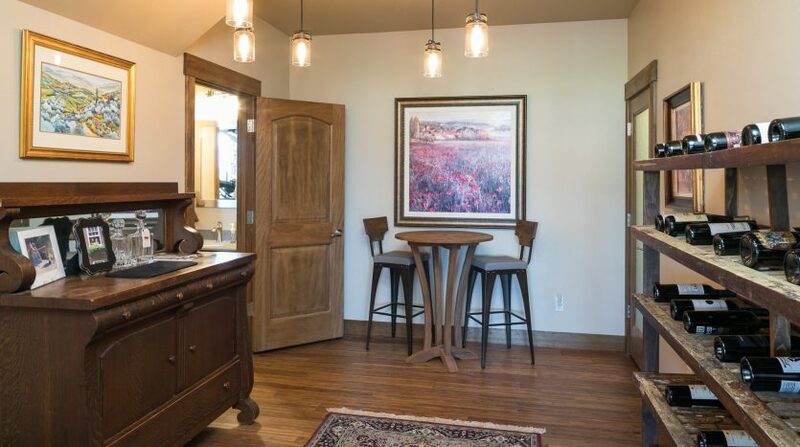 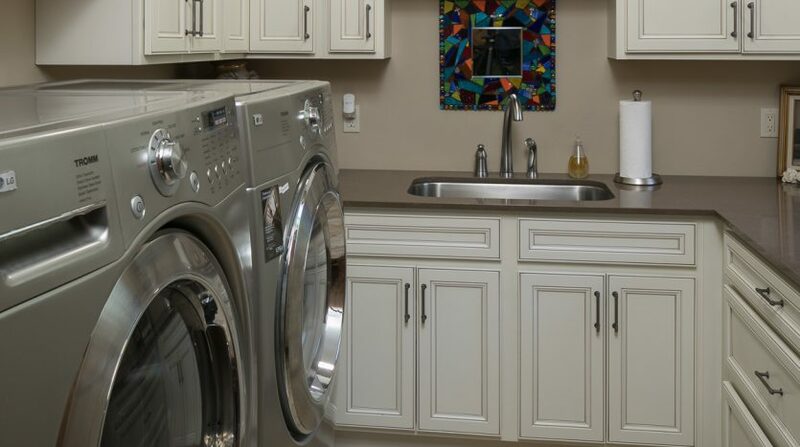 Main level also includes additional en-suite guest bedroom with direct access door to deck, office, powder room and fantastic Utility/Laundry room with custom cabinetry and stainless sink. 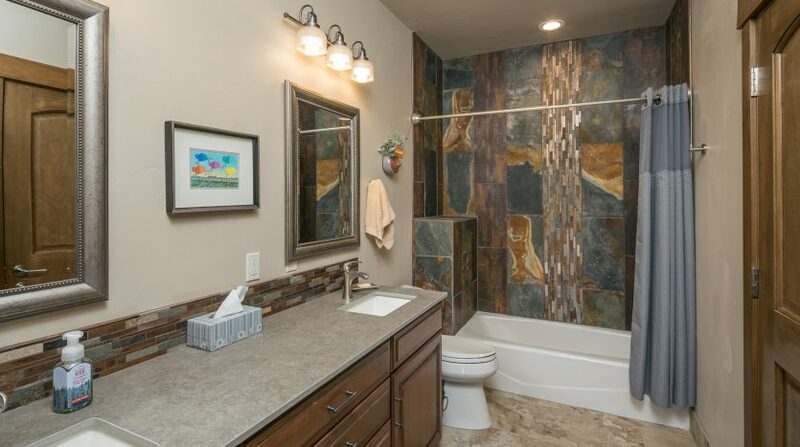 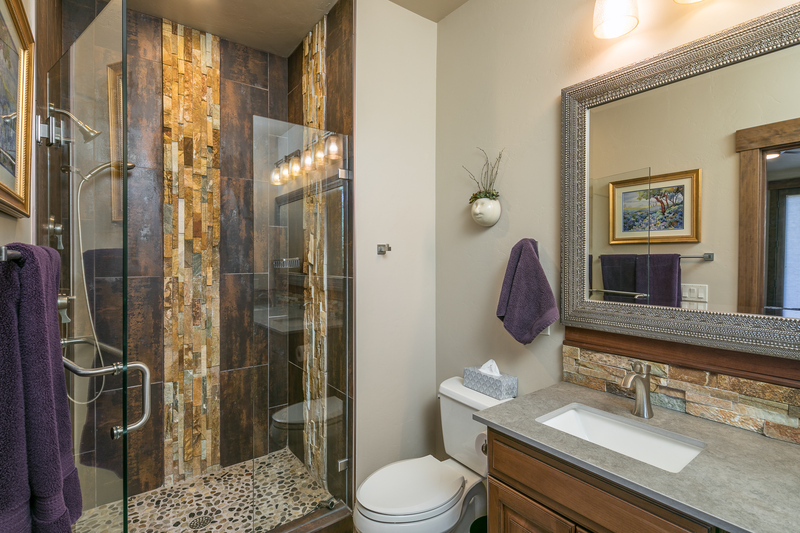 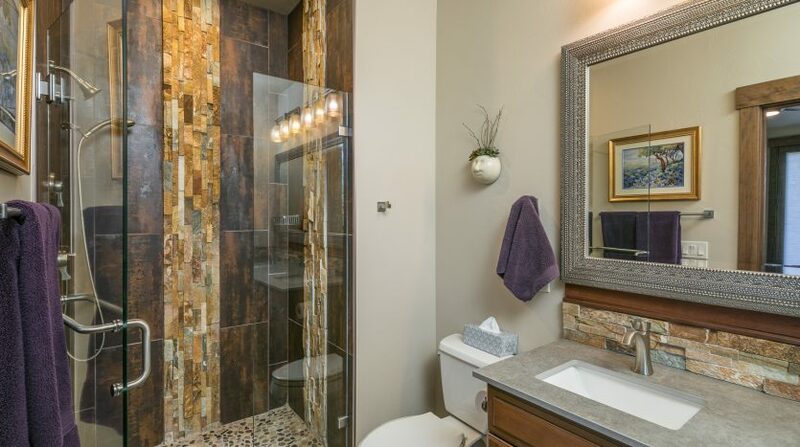 Lower level: Fantastic den/game/family room with own separate entrances to two patio areas, 2 more guest bedrooms, large dual vanity full bathroom with custom tile work, wine room and fully decked out gym with additional powder room. 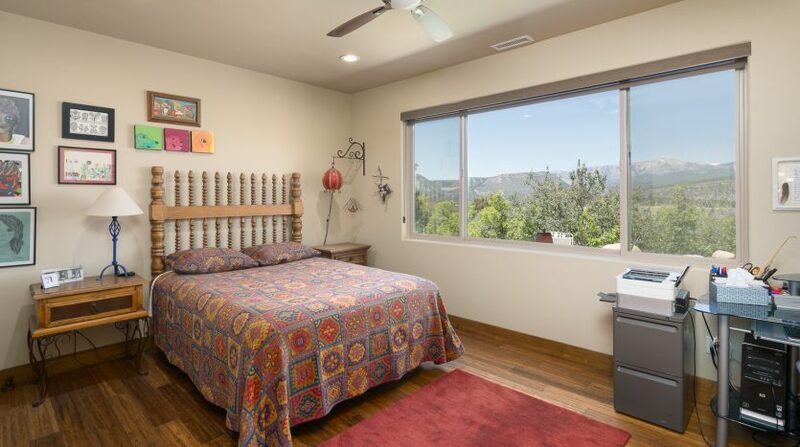 Walk out sliding glass door from family room accesses private patio and landscaped lawn space (electrical in-place for planned private hot tub). 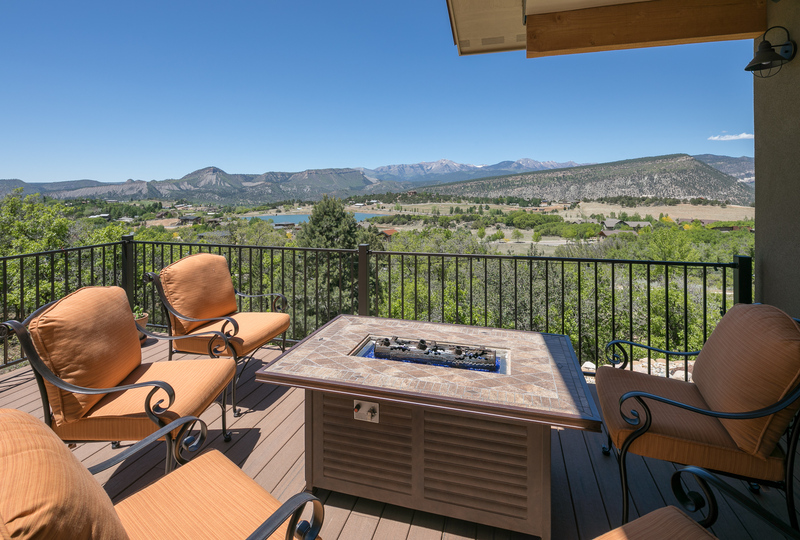 Forced air heating, 2 A/C units, water softener, 2 reverse osmosis units, WIFI security system, large entertaining deck is plumbed for gas grill/fire pit. 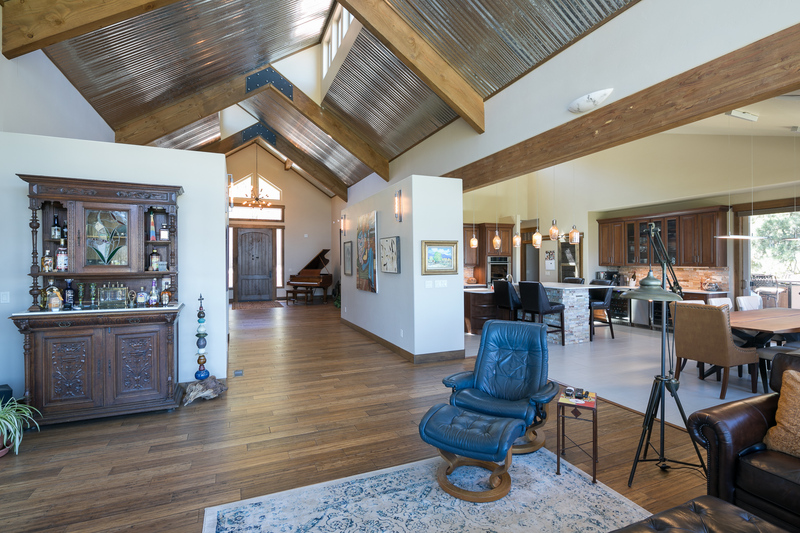 Oversized 2+ car garage with workspace and clerestory windows. 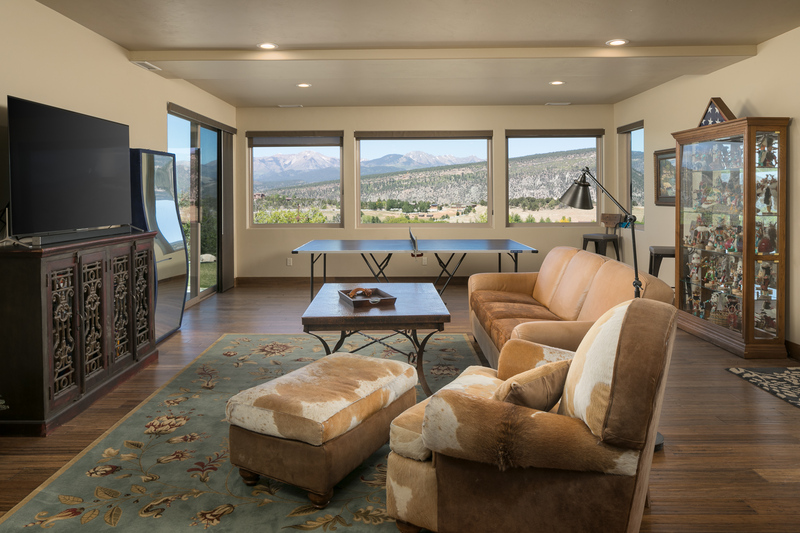 Many of the furnishings are negotiable.